Farrar, Straus and Giroux, 9780374141394, 288pp. 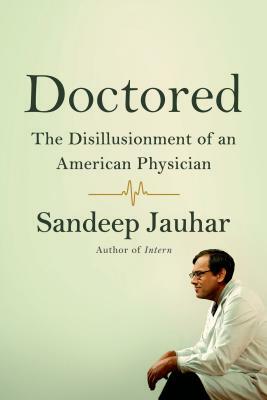 In his acclaimed memoir Intern, Sandeep Jauhar chronicled the formative years of his residency at a prestigious New York City hospital. Doctored, his New York Times bestselling harrowing follow-up, observes the crisis of American medicine through the eyes of an attending cardiologist. Sandeep Jauhar, MD, PhD, is the director of the Heart Failure Program at Long Island Jewish Medical Center. He is the bestselling author of Doctored and Intern and a New York Times Contributing Opinion Writer. He lives with his wife and their son and daughter on Long Island.